Receiving a dual diagnosis of addiction to one or more substances and mild to moderate depression is more common than most people think. The question that arises in the minds of many is whether the depression is a result of the addiction or is it the other way around. As the debate continues, there are connections between the two conditions that are backed up with fact. Here are a few things you should know that will help you understand the link and what can be done to help the patient recover deal with both conditions. 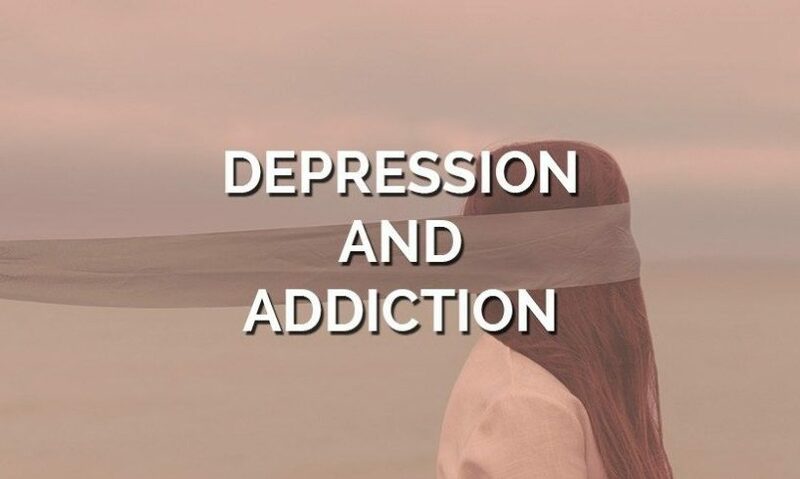 A 2014 report issued by The Substance Abuse and Mental Health Services Administration provided confirmation that people with depression or anxiety disorders are at a higher risk for developing some form of addiction. The report, known as the National Survey on Drug Use and Health, found that just under 8 million people in the United States were receiving treatment for two concurrent issues – addiction and depression – during that year alone. The details related to those findings indicated that people who were diagnosed with mild to moderate depression were twice as likely to develop an addiction to alcohol, medication, or other substance. An article found on the University of Utah’s website entitled “Mental Illness: The Challenge of Dual Diagnosis” explores in part the connection between economic status and the potential to develop an addiction while being treated for depression. Simply put, those who are more secure financially and can afford health coverage are less likely to become addicted to any type of substance. The fact that the patient is monitored by a medical professional and receives ongoing treatment designed to ease the depression and eventually wean the person off any medication likely accounts for the ability to avoid problems with alcohol or illegal drugs. While the article does not address self-medication directly, it’s not unusual for a person suffering from depression to seek any means possible to enjoy even a short respite from the apathy, lethargy, and mood swings that are common with the condition. Imagine how tempting it is to have a drink when doing so helps to lift the mood for a short time. Soon it takes two drinks and then three to accomplish the same sense of wellbeing. Before the patient realizes what is happening, getting through the day without alcohol is unthinkable. For many, that begins because the budget will absorb the cost of buying alcohol with greater ease than finding money to pay for prescription medication out of pocket. Could Age Be a Factor? While people of any age could develop depression and subsequently experience addiction in the search for a solution, there is evidence that individuals within a specific age group are at a greater risk. People who are between the ages of 45 and 64 are part of that higher risk group. This finding may tie in with economic factors, since those who lost much of their retirement and in some cases their livelihoods during the last recession may not have access to the funds or the benefits they did prior to 2008. The result is that they may also be more likely to self-medicate than those who still have medical benefits and equitable financial resources. There is also evidence that people of color are at a higher risk of experiencing a dual diagnosis of depression and substance abuse. Various studies indicate that African Americans and Hispanics are more likely to deal with both conditions at the same time than Caucasians. Opinions as to why this is the case vary, with some citing economic issues and others determining that racism and limited economic opportunities play a role in the development of one and then the other condition. Medical experts established decades ago that some people are genetically predisposed to addiction. Someone who is currently dealing with mild to moderate depression and chooses to take a drink in an attempt to enjoy a momentary escape may find it difficult to stop drinking, simply because of that predisposition. Couple in the fact that there is also evidence that emotional illnesses like depression may also be rooted in genetic makeup, and the danger of dealing with both conditions is obvious. Whatever the origins of the connection, people with this type of dual diagnosis can be successfully treated. Medical professionals have the resources to treat each condition at the same time. Once clean, the patient must also commit to managing the addiction for the rest of his or her life. While the treatment cannot be accomplished overnight, it is possible to regain control and be able to enjoy life once more without abusing any substance.